Tottenham boss Mauricio Pochettino did not feel the need to talk to Eric Dier after his goal celebration sparked a mass brawl in Sunday’s feisty north London derby. Dier celebrated in front of the Arsenal substitutes after his equalising goal at 1-1 and it escalated quickly, with both sets of players and benches becoming involved in a huge melee. Pochettino himself sprinted down the touchline to play peacemaker and the Football Association has charged both clubs with failing to control their players. Dier, who admitted to enjoying the passionate nature of the game, earned a booking for his actions, but avoided the wrath of his manager following the 4-2 Emirates defeat. “To be honest, I didn’t talk with him,” Pochettino said. “Because when you do something and then it’s so evident what happened after, you can take it in one or two directions. “If you’re a Tottenham fan, you take in one direction, if you’re an Arsenal fan, you take in another direction. “If you’re the manager of Tottenham or Arsenal, or the Arsenal players doing the warm-up, you’re going to back your players. Spurs have the chance to bounce back from that disappointing loss, which saw them drop to fifth in the Premier League, when they welcome Pochettino’s former club Southampton to Wembley. 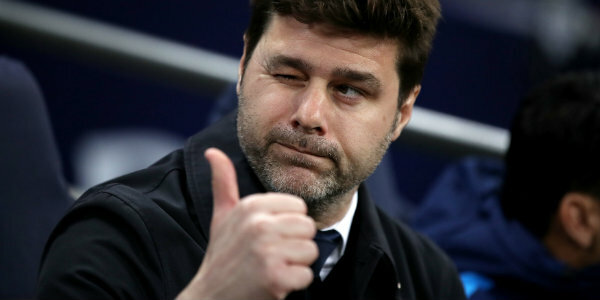 The Saints, currently managerless following Mark Hughes’ sacking on Monday, were Pochettino’s first club in English football and it is a time he remembers fondly. He will be coming up against Kelvin Davies in the opposite dugout, the man he first gave the armband to at St Mary’s in 2013. “I care a lot for Southampton,” he said. “It was my first opportunity and then always I told the people of course the fans were very disappointed when we left, but the circumstances were completely different after a year and a half. “Always with my family we talk and I think it was one of the best periods in my life that we spent there. We found amazing people there, an amazing town. “They provided everything, made it feel like home for us and always my affection is going to be there. “It was my first club in England, the possibility to manage a club in the Premier League with not one word in English, because when I arrived six years ago I still needed to improve. “It was a massive impact in my life as a manager and coach, and I am so grateful to Southampton. “Of course in front is going to be Kelvin Davis, who was our player, my first captain. “He was a great personality, a great character, a great man and it’s so nice to face him, in a difficult situation for both, because we both need to win. “But in the same way I’m so happy to see him because I know his dream is to be a coach, to be a manager. Jan Vertonghen is suspended following his red card at Arsenal, but Kieran Trippier returns from a groin injury. Be the first to comment on "Spurs boss Pochettino plays down Arsenal row"